BRAND NEW TAXIDERMY DVDS! FILMED WITH HD TECHNOLOGY ON SALE NOW! Taxidermy 101 has 10 new Taxidermy How To DVDs teaching how to do Taxidermy from home. These new DVDs were filmed with HD technology for superior quality. Close-up footage and detailed, step-by-step instruction from Master Taxidermist Bill Atkins. BUY OUR BEST DEAL: ALL 10 DVDS FOR $99.95 TODAY! Subscribe to our newsletter for our latest sales and promotions! 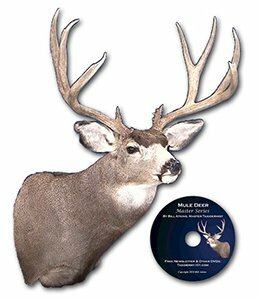 2-Hour Video teaches how to mount a whitetail deer from start to finish. 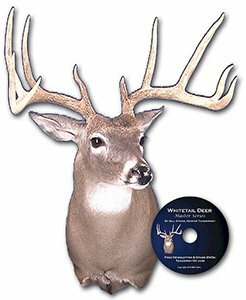 The taxidermy video features a whitetail, but the same techniques can also be used on Axis, Fallow or Sika Deer. Instruction is perfect for beginners to learn the Art of Taxidermy. Covers each step of the process from field care to finish work. This 2 Hour How To Taxidermy Video features a lifesize Bobcat, and the same techniques can be used on Fox, Coyote or Raccoon. 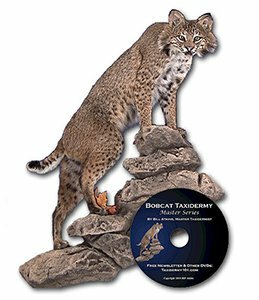 Each step of the taxidermy process is covered from the proper field care to mounting the bobcat on a natural looking habitat base. This Taxidermy Video teaches how to mount a Mule Deer, including special attention to the ears, horns and facial details that are unique to Mule Deer. The process starts with a tanned Mule Deer cape and continues all the way to the detailed finish work. The basics of skinning (caping), shaving (fleshing) and preserving (tanning) are covered in this taxidermy how to video. 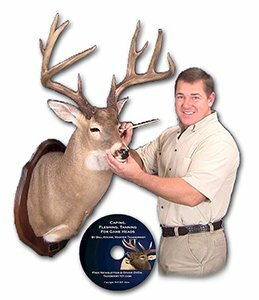 The western game taxidermy videos each start with a tanned cape, so this is a good video to include if you are buying one of those in a single DVD. 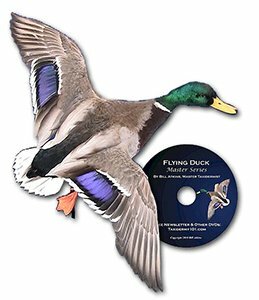 This 2 Hour Bird Taxidermy Video features a flying Mallard Drake, but the same techniques can be used for other birds. From proper field care to the final finish work, each step of the taxidermy process is covered for a beautiful completed Bird mount. This 2 Hour Strutting Turkey Taxidermy Video is the most complete instructional video ever produced! 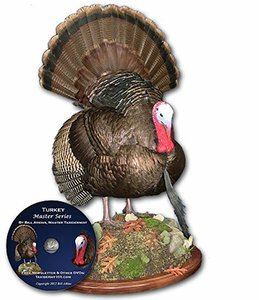 No step has been left out – from the tools and supplies needed to the final detail work, every process is covered in great detail to achieve an impressive and professional looking Strutting Turkey mount. Learn How to do taxidermy for big game trophies like Elk, Caribou and Moose with this How To Taxidermy Video. 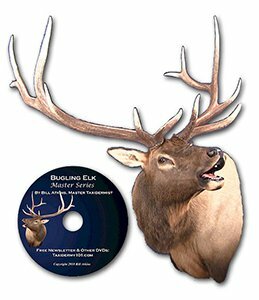 Incredible footage, detailed instruction teaches how to do an open mouth bugling elk. Now you can learn how to tan a hide and make a rug. 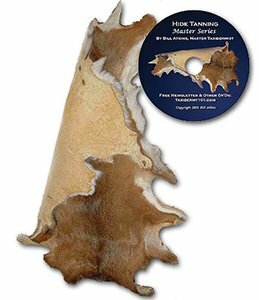 This video shows how to skin, flesh, salt, pickle, tan and soften the hide to make a deer skin rug, but the same techniques can be used on other animal hides such as elk, caribou, bear, mule deer, bobcat, beaver and raccoon. 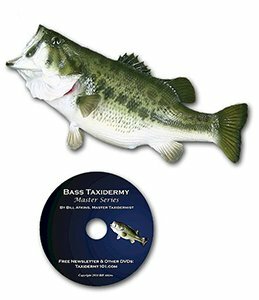 This 2-Hour Fish Taxidermy Video features a Largemouth Bass, but the same taxidermy techniques are used on other skin-mountable fish like Smallmouth Bass, Walleye, Crappie and Perch. Each step of the taxidermy process is covered from taking the measurements to mounting the fish on driftwood. 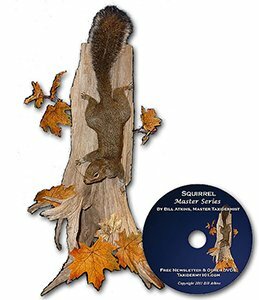 In this 2 hour Squirrel Taxidermy Training Video, Bill teaches every detail from skinning, fleshing and preserving to the final finish work for a beautiful climbing squirrel. A great DVD for beginners! 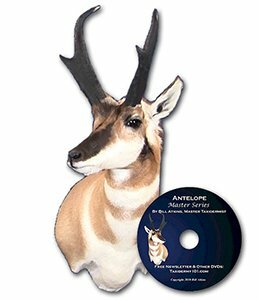 Special instruction is required to do taxidermy for horned mounts such as Antelope, Sheep and Goats – this Taxidermy Video features a Pronghorn Antelope but the same techniques can be used for other horned trophies. The process starts with a tanned Antelope hide. 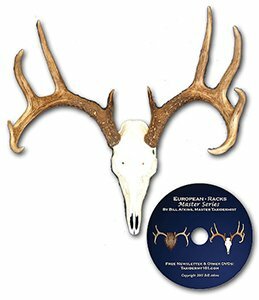 A European Mount or Skull Mount is a beautiful way to preserve a trophy when space is limited or other larger deer are already on the wall. Bill teaches the correct way to get a bright white skull and repair any damage to horns. He also includes how to do a Rack Mount on this DVD.